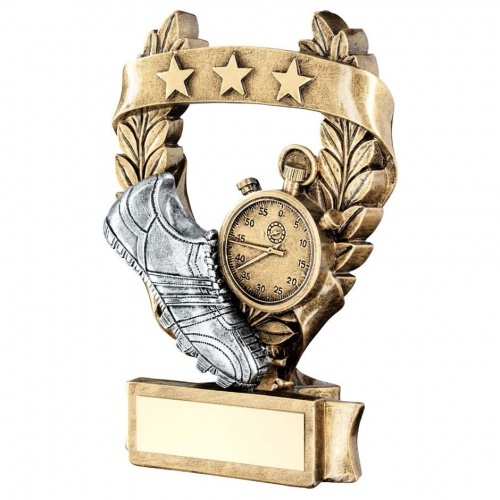 These track & field athletics trophies are suitable for a wide range of awards and disciplines, and for both male and female recipients. Crafted in durable resin, they have an attractive bronze and gold colour finish and are available in three size options. They feature a laurel wreath garland backdrop with stars on a ribbon, running shoe and stopwatch all set on a base with engraving plaque. Text and/or logo engraving options are available for the base plaque.